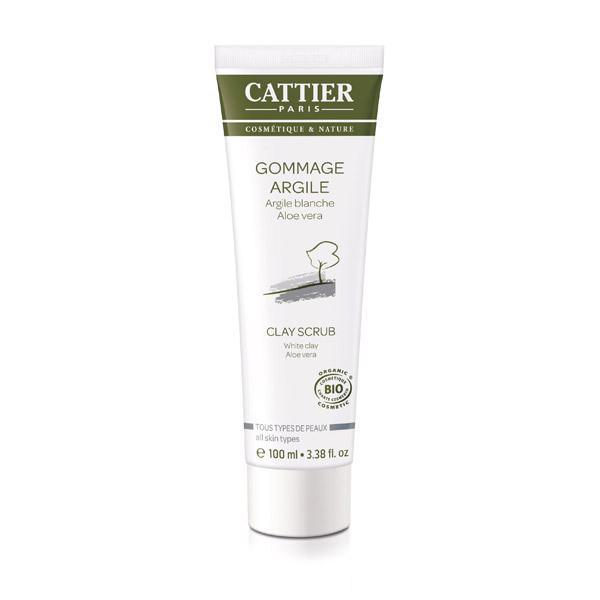 Cattier white Clay Facial Scrub soothes, purifies and softens the skin. Suitable for all skin types. 100ml tube. Cattier cosmetics are natural, gentle, pleasant and effective. They are formulated with natural ingredients partly produced by organic farming methods and do not contain parabens, phenoxyethanol, synthetic colouring or fragrance, or any chemical substances. Cattier is therefore registered as member of the COSMEBIO association. The COSMEBIO label guarantees eco-friendly production methods which excluse the use of pesticides, weed-killers, chemical fertilisers or GMOs.